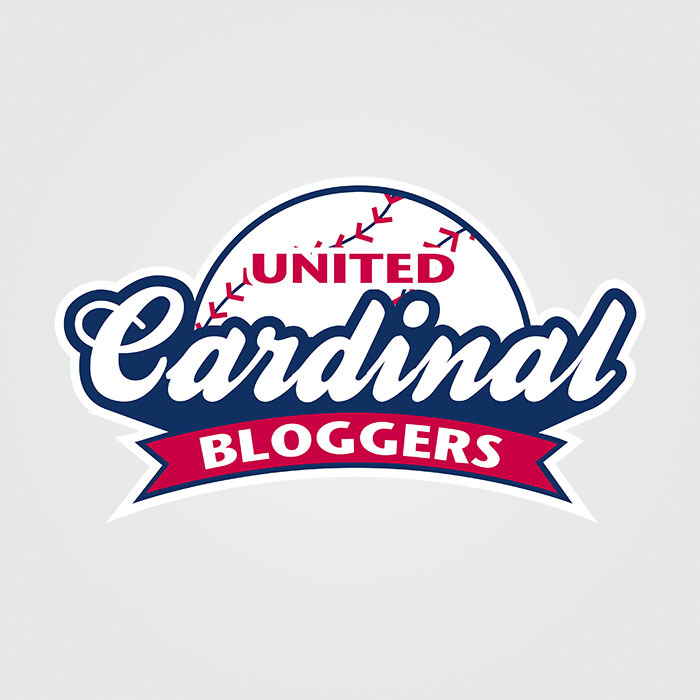 Each November, the United Cardinal Bloggers vote for awards on that year’s Cardinals season, as well as the best of our peers. Here’s a look at my choices for 2014. My choice: Jhonny Peralta. He did what he was acquired to do, which was increase the offense by the shortstop, and even led the team in homers with 21 for good measure. Plus he was very good defensively, with the fifth-best defensive WAR in the National League at 2.6. My choice: Lance Lynn. While a case could be made easily for either of the other two (and especially Adam Wainwright), my pick is for Lynn because of the complete season he put together. No post-All Star slump, as he had a 2.22 ERA after the break compared to 3.14 before, plus he had a 3-0 record and 1.99 ERA in August to lead the team when Wainwright struggled through a “dead arm” period. Lynn also had career bests in ERA at 2.74, WHIP at 1.26 and bWAR at 3.7. My choice: NLDS Game Four. Beating Clayton Kershaw once in October, after the tremendous regular season that would earn him both the NL Cy Young and MVP awards, was terrific. Doing it again, to clinch the division series, with Matt Adams doing all the damage with a three-run seventh inning homer? Incredible. Just take a look at that homer again, and the reactions from Kershaw as well as the Cardinals players, the crowd (go, Mrs. DeWitt!) and of course Adams himself. My choice: Pat Neshek. No one could have anticipated the value Neshek would ultimately provide to the Cardinals bullpen when he signed a minor league deal with the team in February. Yet he was nearly automatic in the eighth inning as he compiled a career low 1.87 ERA, plus was a first-time All Star at age 33. And now he’ll get to reap the rewards of that successful season as a free agent. My choice: Justin Masterson. Not much to say — the 7.04 ERA after he was acquired from the Indians says it all. My choice: Kolten Wong. Thankfully he was able to overcome the “adversity” of his early-season Mathenaging demotion and have a solid season that was good enough to finish third in Rookie of the Year voting. Plus he provided one of the rare NLCS thrills with his walk-off homer in Game Two. My choice: Jhonny Peralta, for all the reasons listed above. My choice: Stephen Piscotty. I had the opportunity to see Piscotty play for the Quad Cities River Bandits after he was drafted in 2012 and, even though he played third base at the time, he was impressive to watch both in the field and at the plate. Now that he’s an outfielder and has continued to impress, I’m looking forward to seeing him in the big leagues. My choice: Oscar Taveras’s first home run. It seemed like it was straight from a movie script: highly touted rookie in his big-league debut launches a home run for his first in his second at-bat as the rain falls to make it all the more dramatic. Now, with Oscar’s untimely death, it really is a legendary moment — one of the few highlights from his all-too-brief career, and a lasting memory of what could have been. My choice: RetroSimba. Mark Tomasik continually and consistently delivers great content on not just the history of the Cardinals, but how what happens throughout the season echoes what’s happened in the past. My knowledge of the Cardinals has greatly increased from reading Mark’s work. My choice: Viva El Birdos. While RetroSimba helps me learn about the past, reading the quality content produced daily at Viva El Birdos expands my knowledge of everything else Cardinals-related. My choice: Derrick Goold. Simply put, he’s without peer when it comes to informative and terrific content, whether for the STLToday website, on Twitter, on Facebook, on Instagram or anywhere else. My choice: Red Cleat Diaries. There were quite a few new blogs this year, and a couple of them — Bird Tales by former AMF writer Tara Wellman and High Sock Sunday by Cole Claybourn — are definitely worthy of this honor as well. And perhaps I’m choosing Red Cleat Diaries by Marilyn Green because much more often than not, I agreed with everything she wrote. Neither of us was thrilled with this season, and mainly because of Mike Matheny, so I appreciated reading an opinion similar to mine when it felt like I was going against the grain of other Cards fans and bloggers. Marilyn always expresses her thoughts so well and so clearly, and I look forward to continuing to read her posts. My choice: The Lynning: Fact or Fiction? by Daniel Shoptaw. This well-researched and well-written post from Daniel looked into whether the Lynning — that “OMG, here he goes again with the terrible inning” that sent Cards fans on Twitter and elsewhere into even more of a frenzy than usual — was in fact true, to a degree, when compared to other Cards starters and other NL Central plus two NL East starters. Daniel wrote it in May and, thankfully, the Lynning seemed to become more and more fiction as the season progressed. My choice: Progressive Game Blog. This annual project, where the UCB covers a game with a different member writing about each inning on her/his own blog, is always fun to participate in as well as fun to read the end result once the game is over and all the posts are up. Of course, it helped that I had a great inning to write about this year, since all the Cards runs in a 4-2 victory over the Dodgers came in my inning, the first. I am abstaining from voting for these final three categories. I didn’t listen to enough podcasts throughout this season to make a fair assessment, and I found myself using Twitter less and less as the season went along to choose there. This entry was posted in 2014 Cardinals and tagged Jhonny Peralta, Justin Masterson, Kolten Wong, Lance Lynn, Matt Adams, NLDS, Oscar Taveras, Pat Neshek, Stephen Piscotty, UCB awards by Christine Coleman. Bookmark the permalink.